Stumpy's Pub has the atmosphere you expect from a TRUE neighborhood bar. Try your LUCK on Stumpy's Video Poker and Slot machines provided by SLOT KINGS. 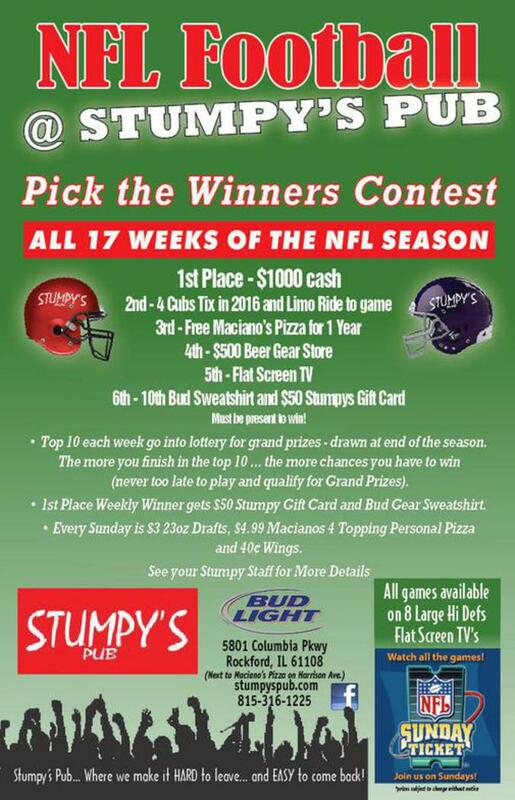 Stumpy's offers cold drinks, fun attitude, and a never too serious attitude. 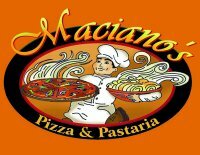 Maciano's Pizza delivered FAST, FREE and HOT to your seat. Stumpy's intimate 1800 square feet, features a custom built oak bar, built in freon "Chill Disks" coasters to keep your drinks ice cold, side-by-side high top tables. And of course, lots of high-definition flat screen TV's with popular music from all generations.! Stop in anytime for great food, drink and laughs with Rockford's Best Wait Staff! and HOT to your seat. ....where it's HARD to Leave, and EASY to come back!